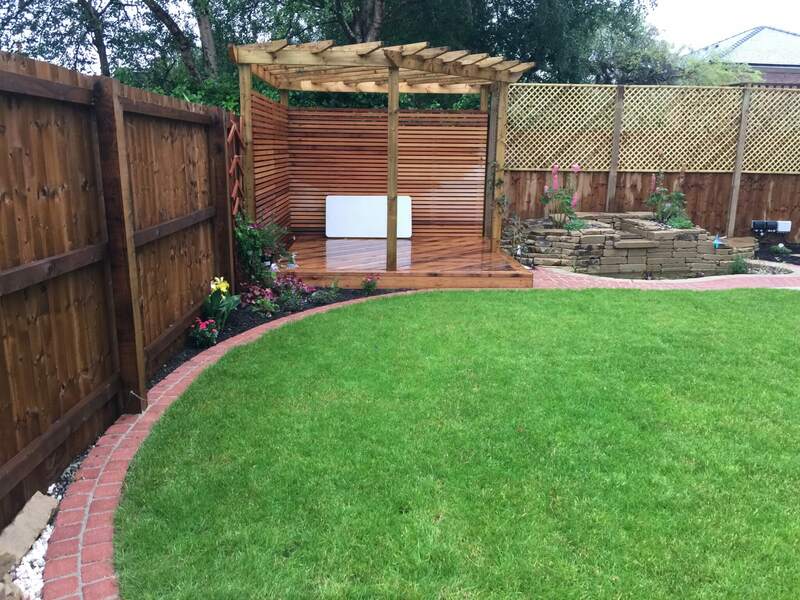 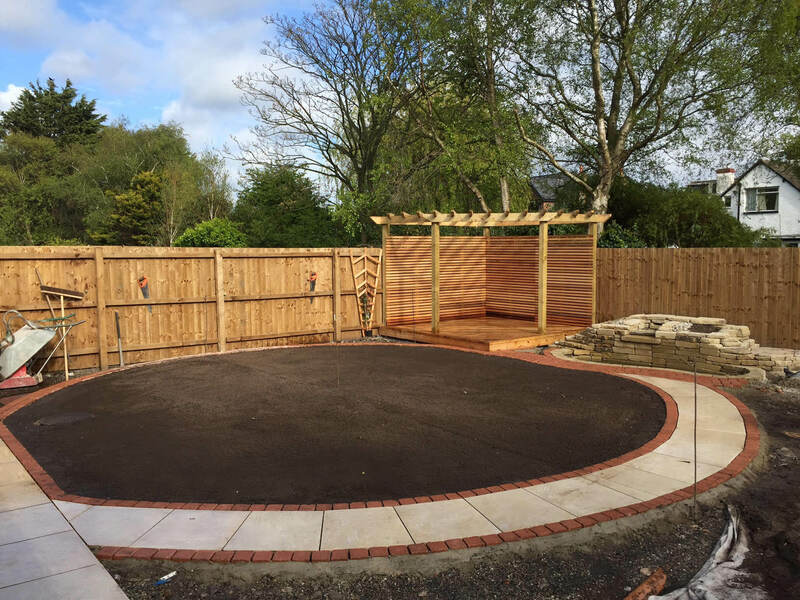 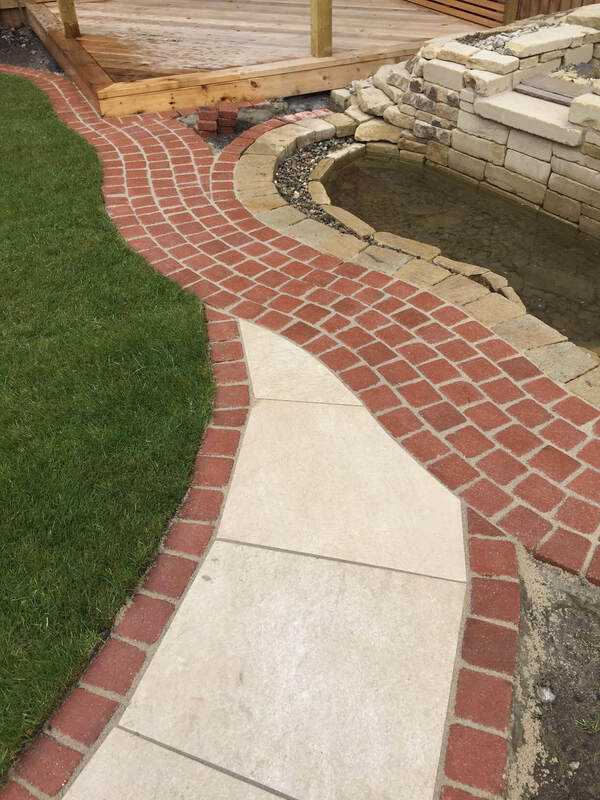 This garden makeover project was to transform the whole garden, including some landscaping, timber decking and pergola, Marshalls Symphony Vitrified in Buff colour for the patio, Drivesett Deco for decorative border and cascade waterfall feature. 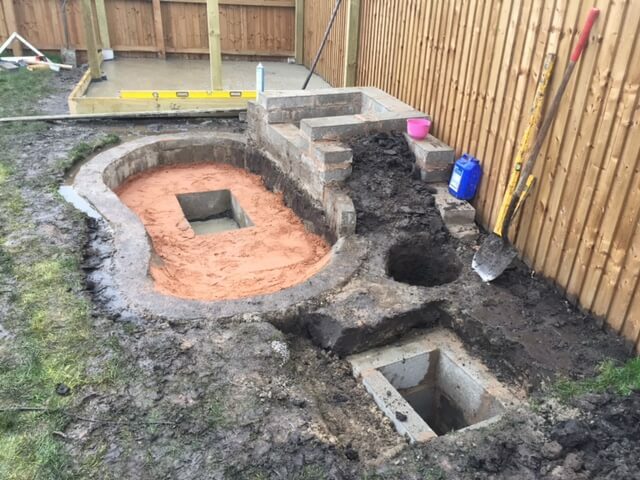 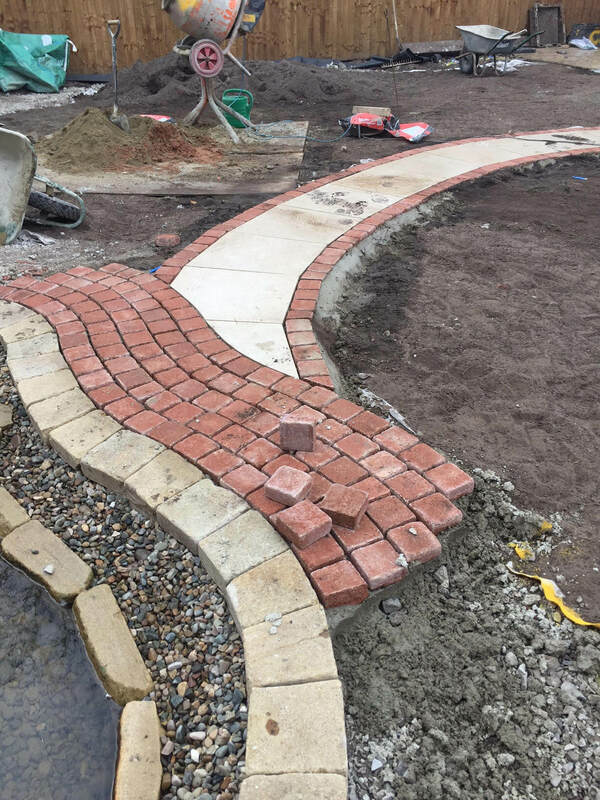 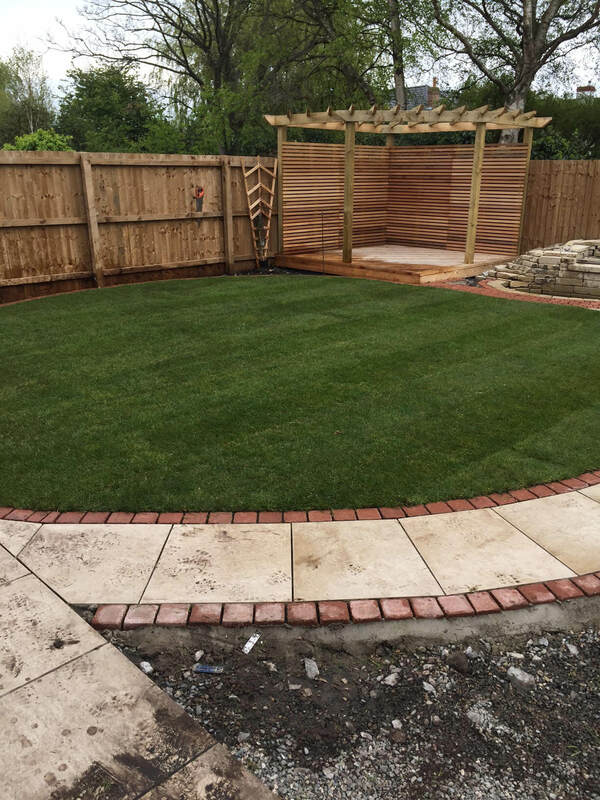 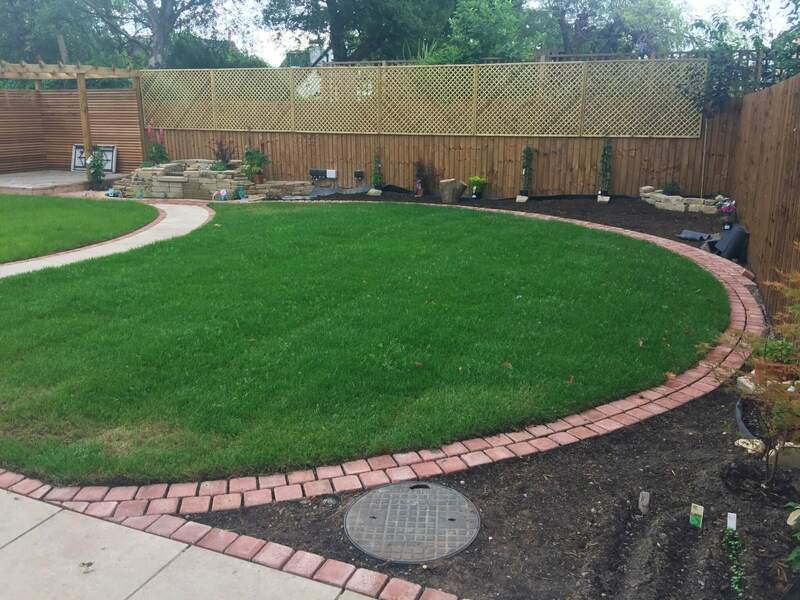 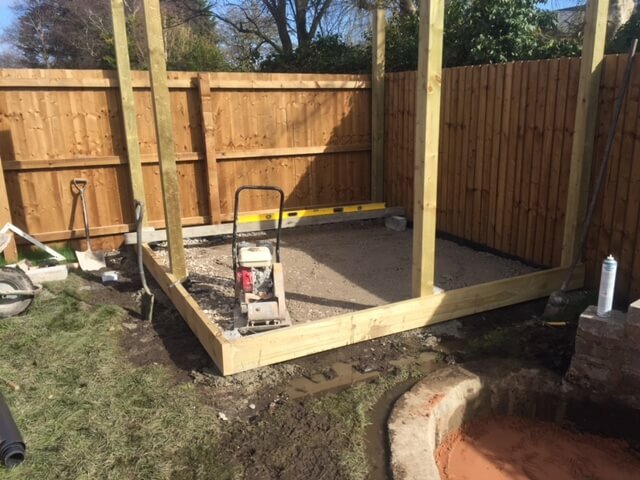 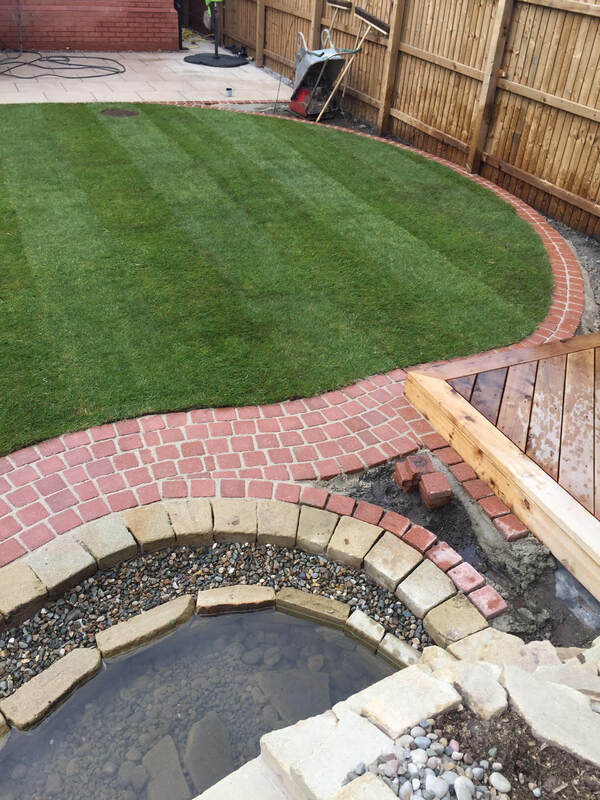 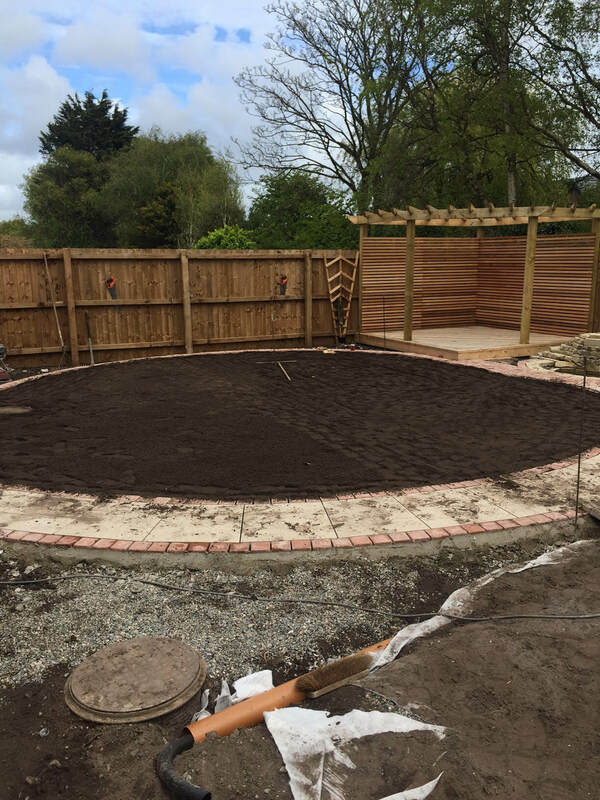 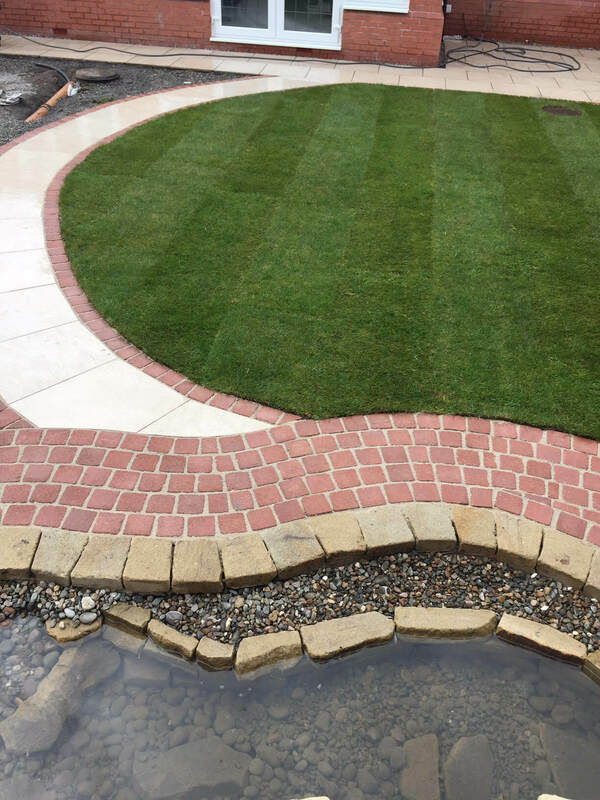 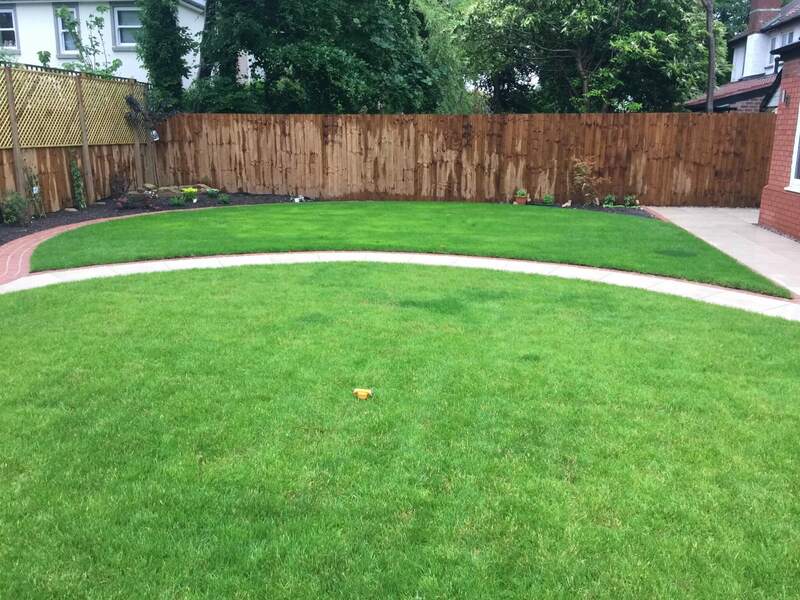 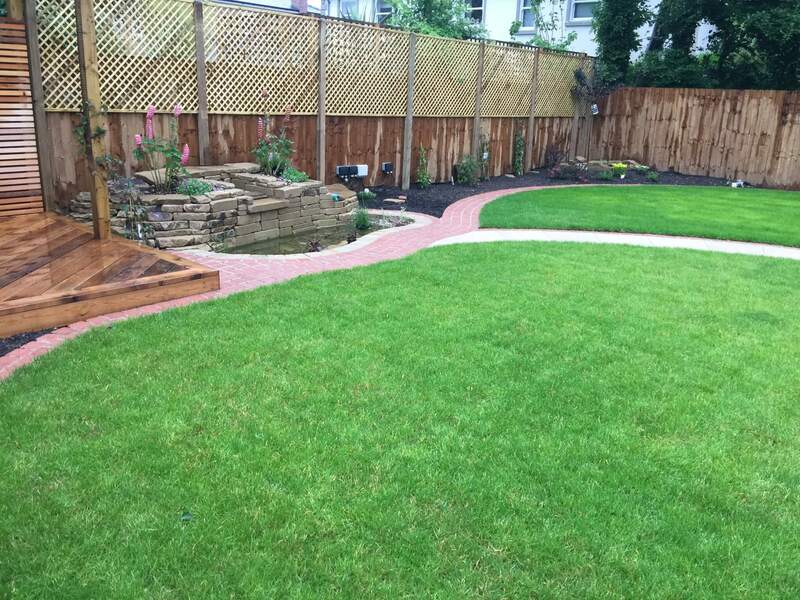 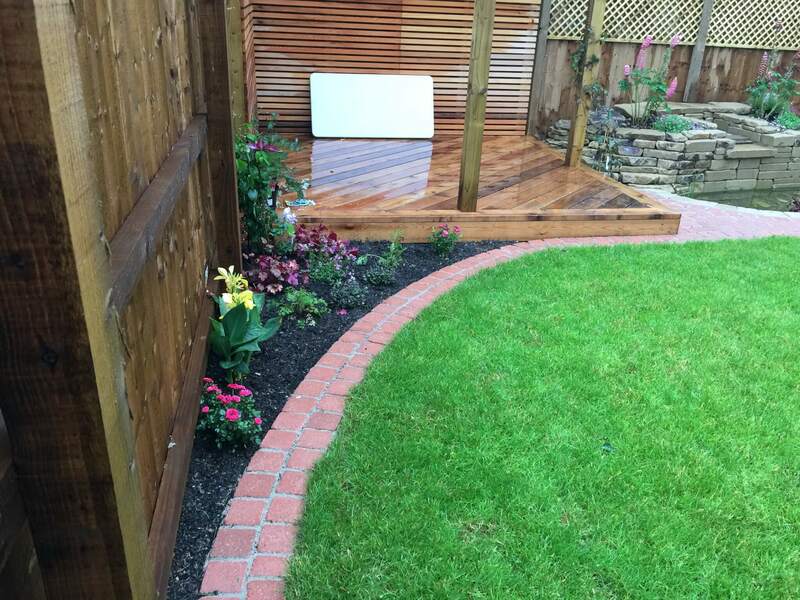 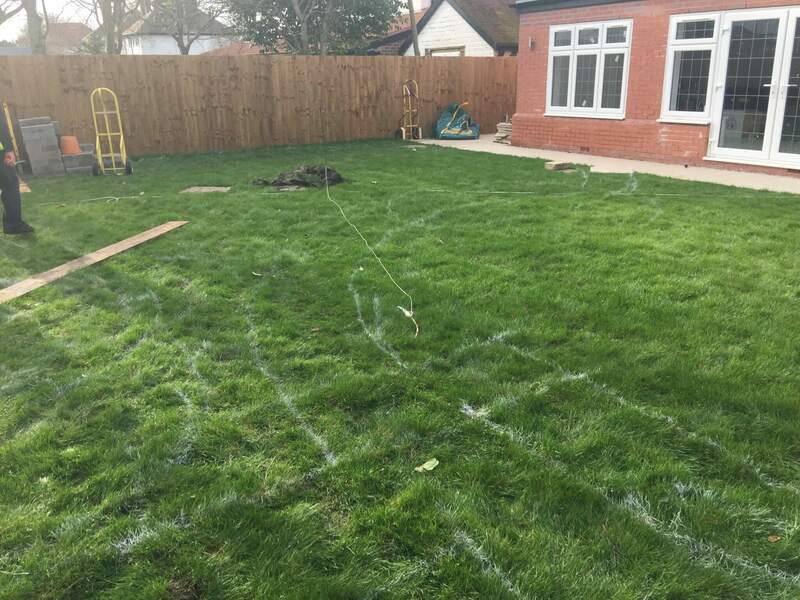 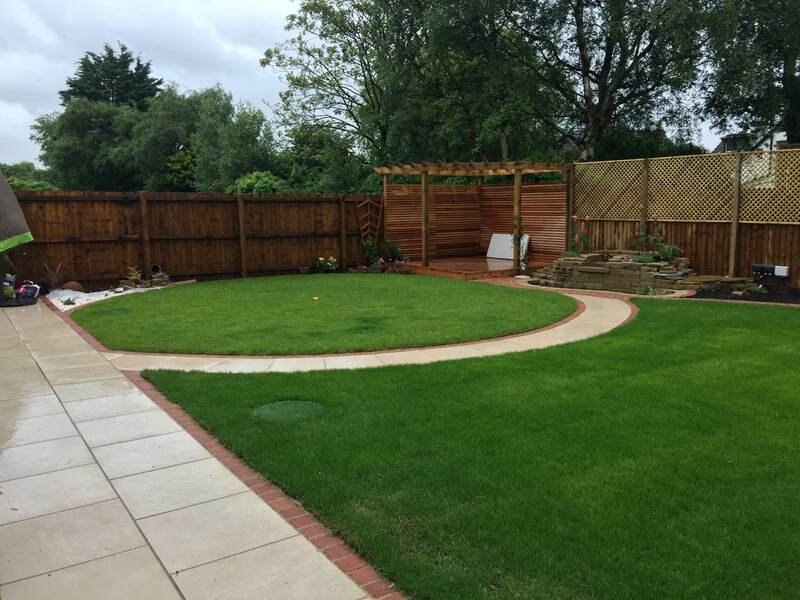 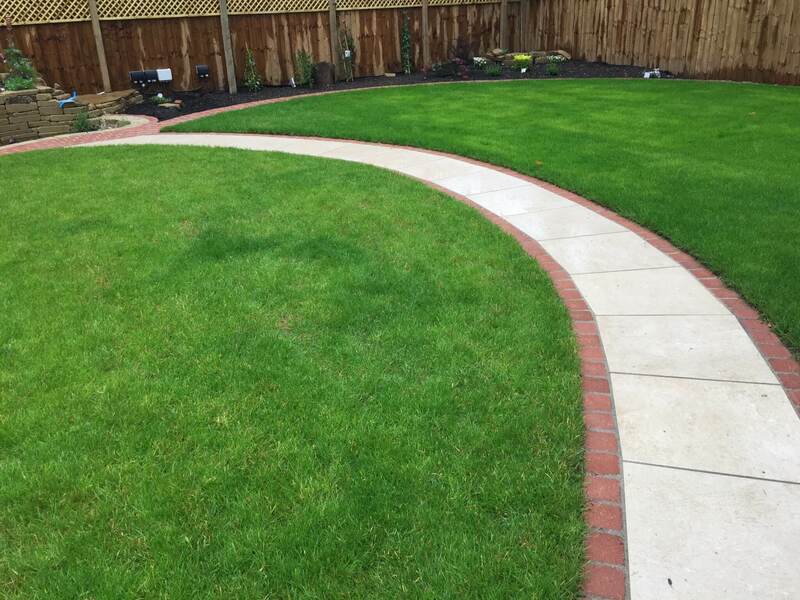 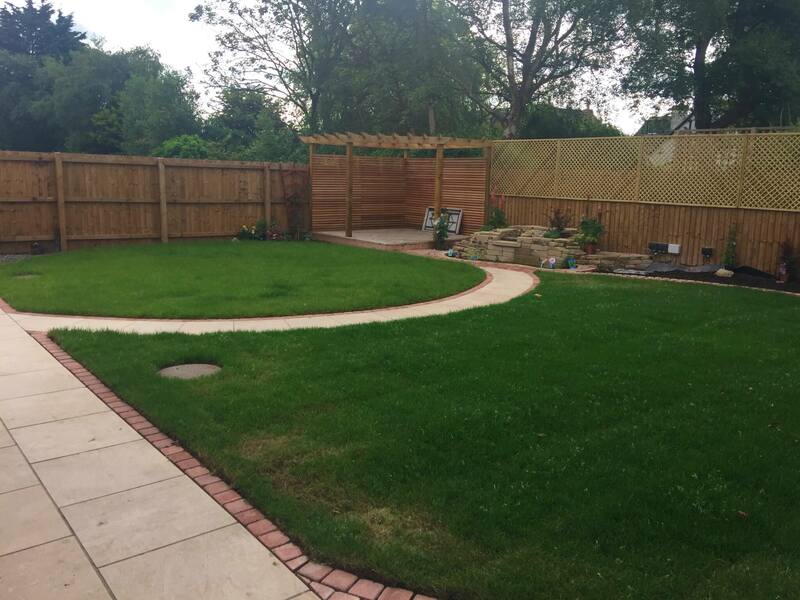 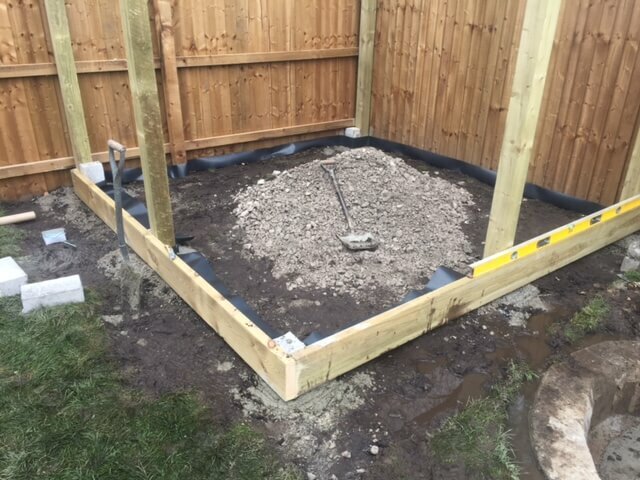 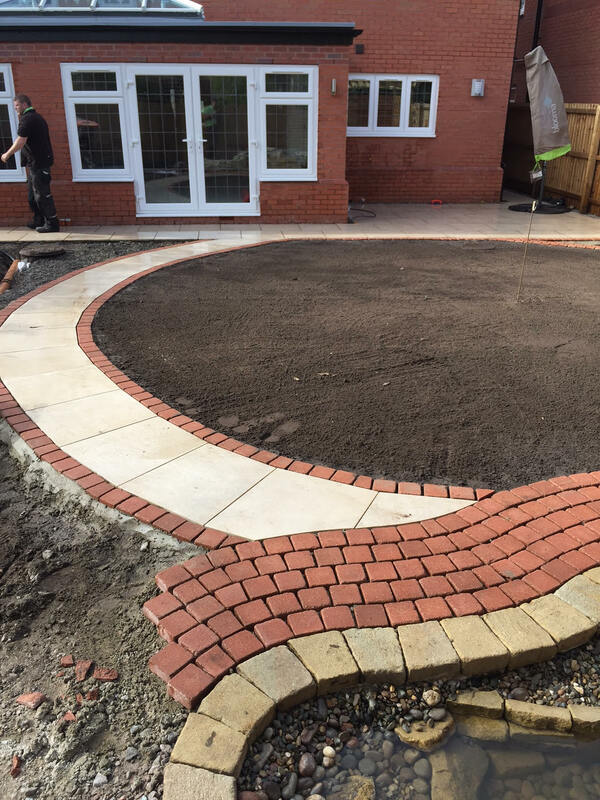 The landscaping work included some raised beds and border, we were also creating a circular shaped for lawn area which was raised up and retained with drivesett Deco. 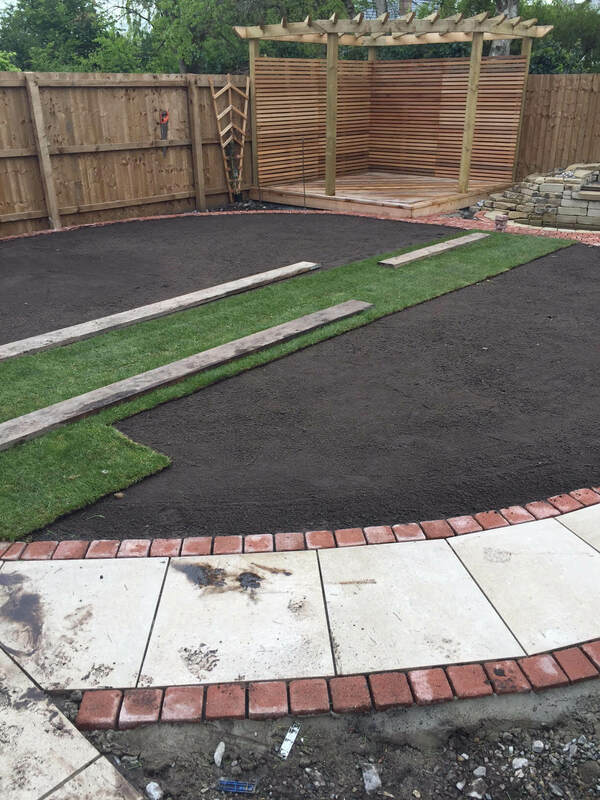 On each side of the garden we created raised beds with planting in them and around the circular shaped lawn we installed the paving cut in around the shaped lawn. 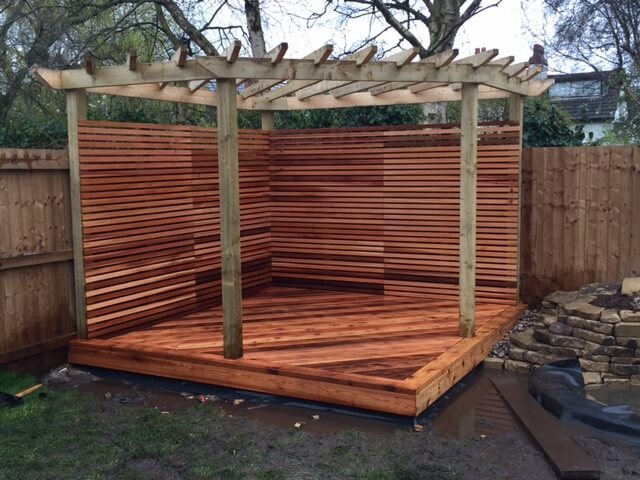 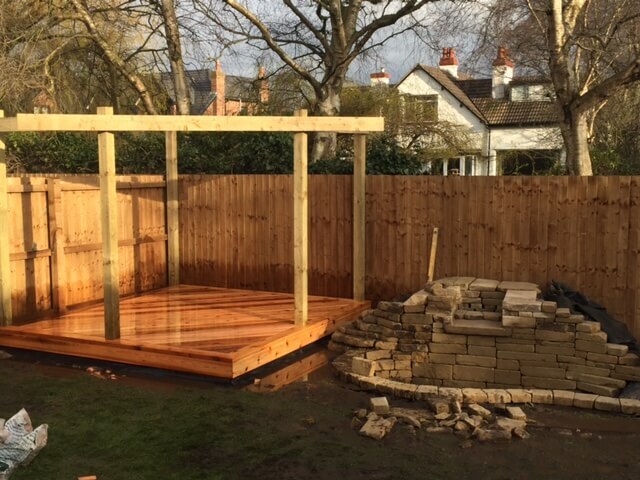 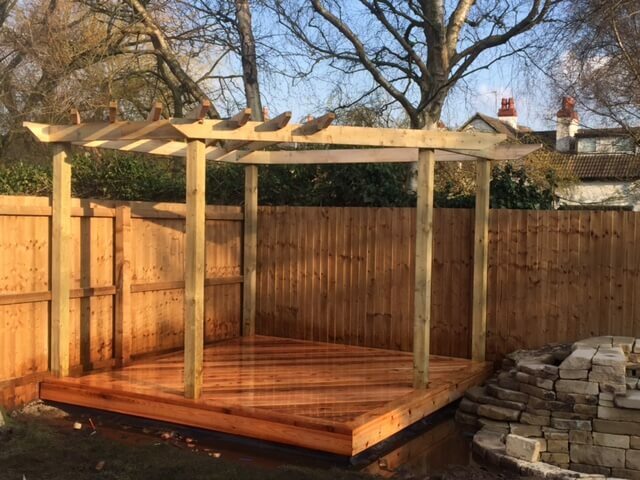 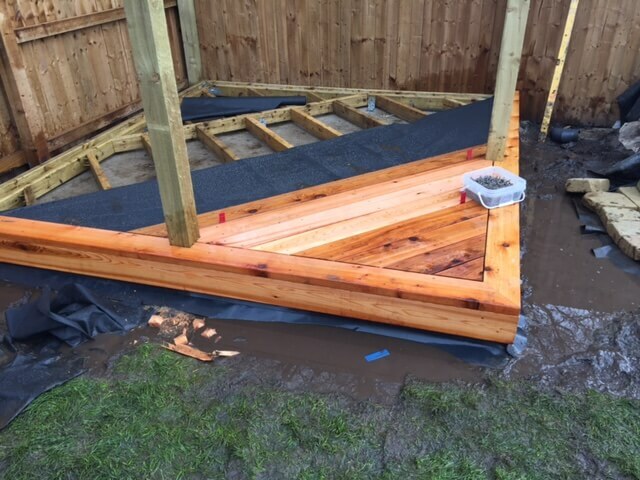 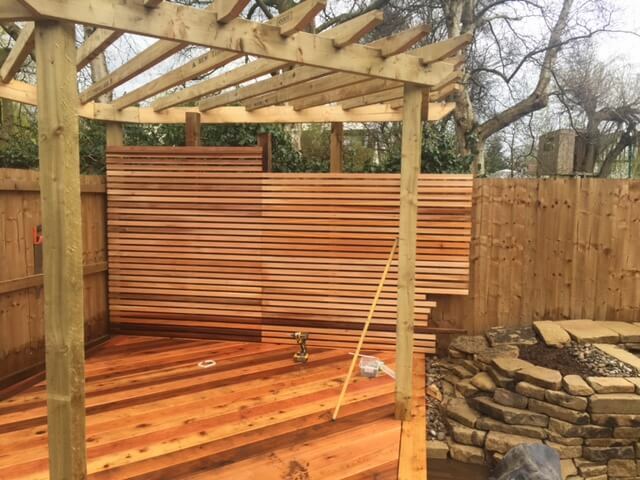 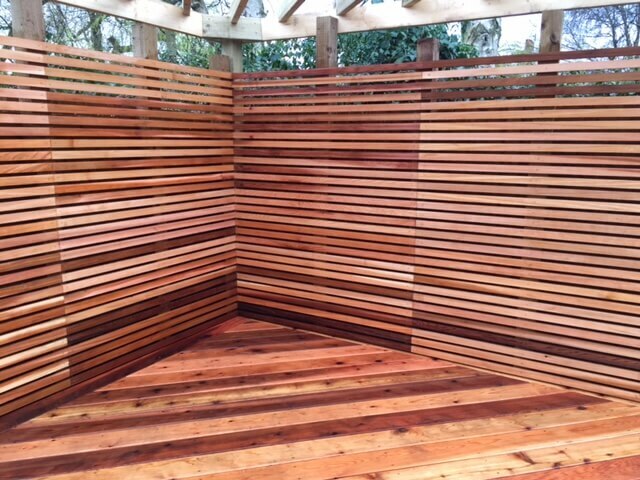 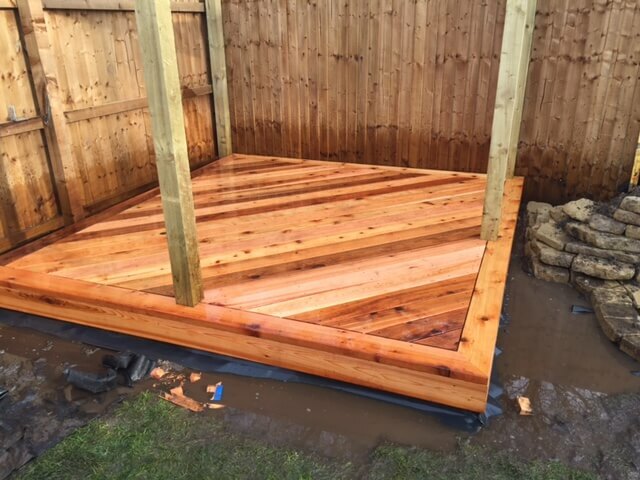 The pergola was constructed in the corner over the cedar decking. 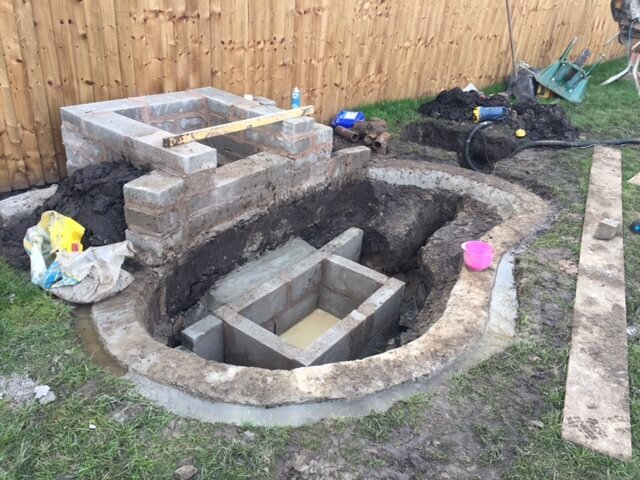 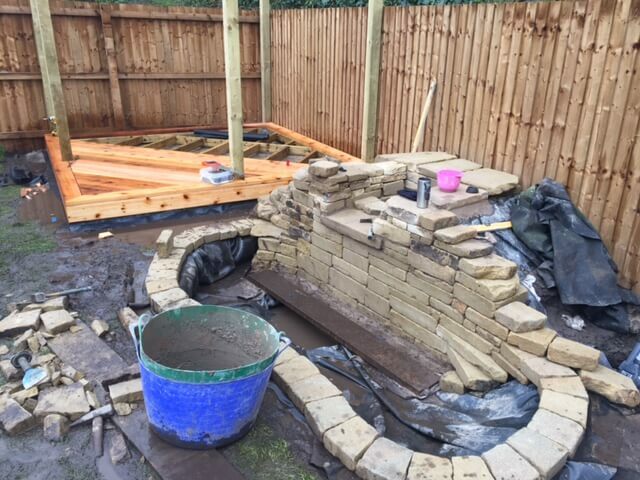 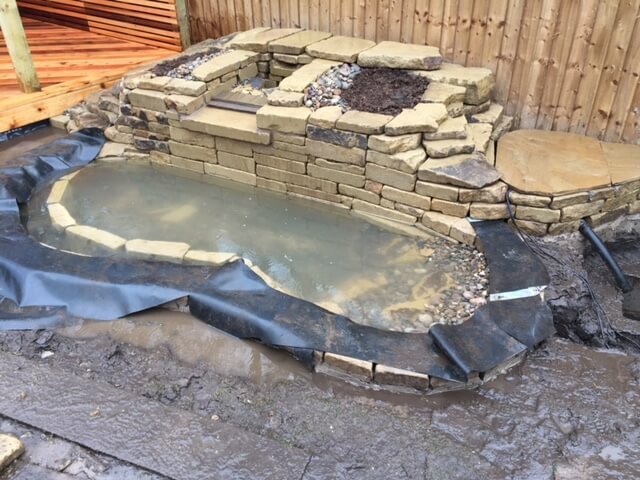 We were also creating a beautiful cascade waterfall feature by one of our pond specialists installation.